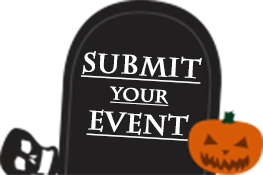 LOOKING FOR THE LATEST INFO ON THIS YEAR'S HALLOWEEN? Is NYC your Halloween stomping ground? Locate the city’s best Halloween parties, score tickets to the creepiest haunted houses, and find listings for this year’s Halloween parades & festivals here at Boo York. From Halloween parades & festivals to Halloween makeup, Boo York has got your October 31st covered, whether it’s the way you celebrate or the way you look while celebrating.